In this week’s AquaNerd POTW, we are treated to a glowing Neon Green Birdsnest Coral seen in the aquarium of a local hobbyist. These corals usually start out very vibrant, but the green quickly fades and the brown skeleton shows through. This makes the coral appear nowhere near as attractive as the one seen above, and causes quite a bit of frustration for . 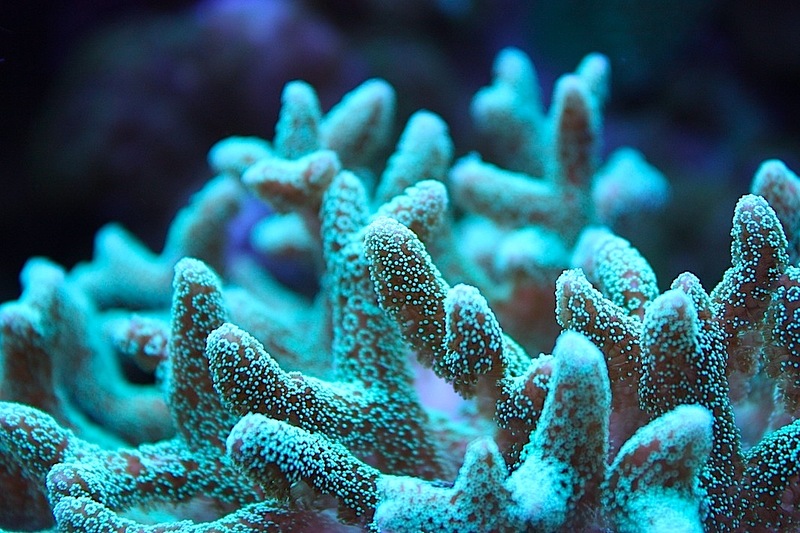 A lot of hobbyists indicate that the neon green usually stays vibrant under less intense lighting, and really glows under actinic lighting (really what coral doesn’t?). Unfortunately though, more intense lighting causes the corals to lose that deep green coloration.